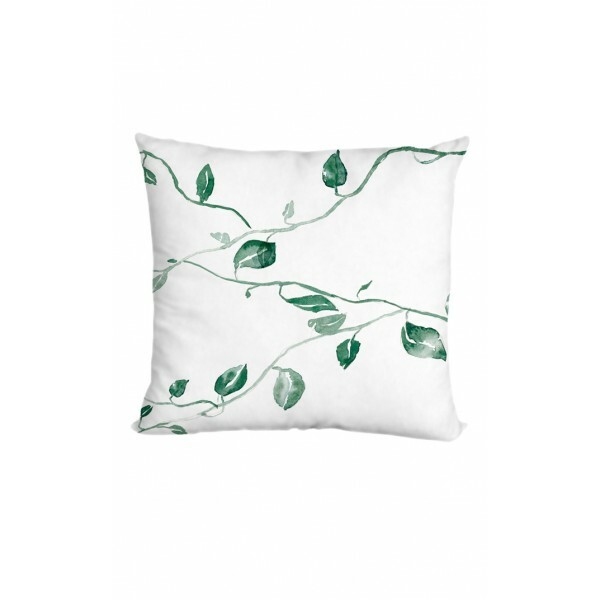 A pillow in the pattern of a climbing plant. 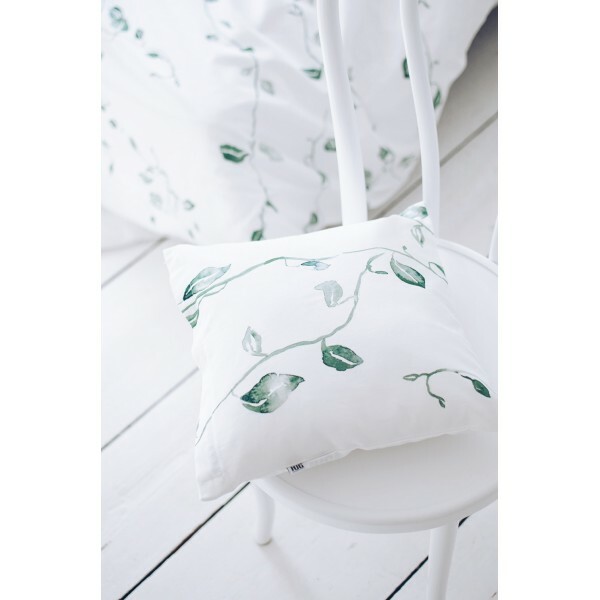 Botanical motifs on the pillow evoke the beauty of nature. 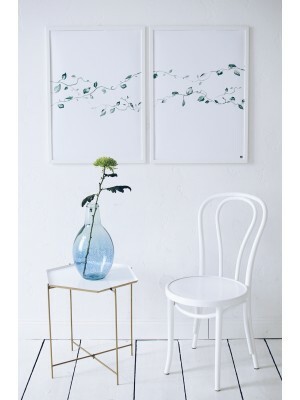 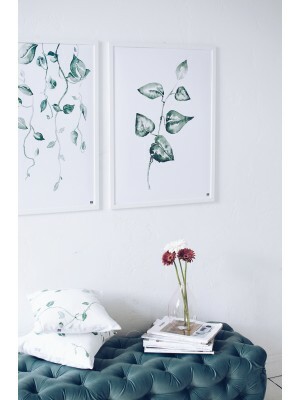 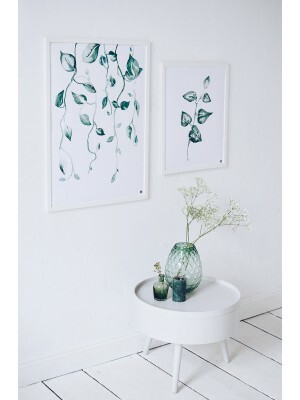 A perfect gift for people who love to surround themselves with greenery at home. 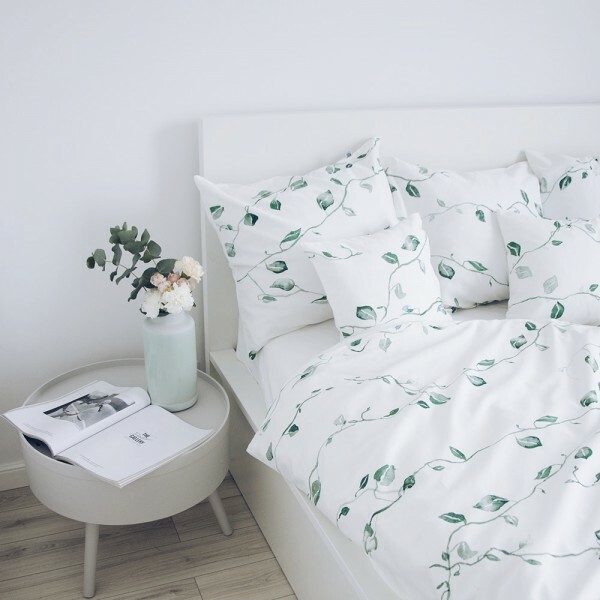 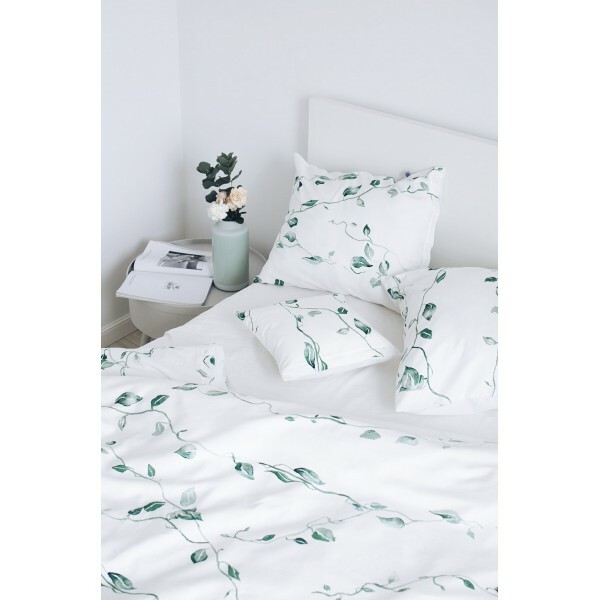 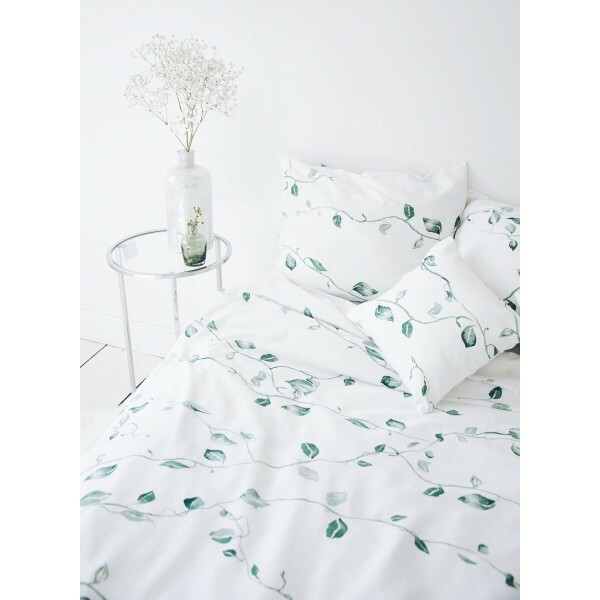 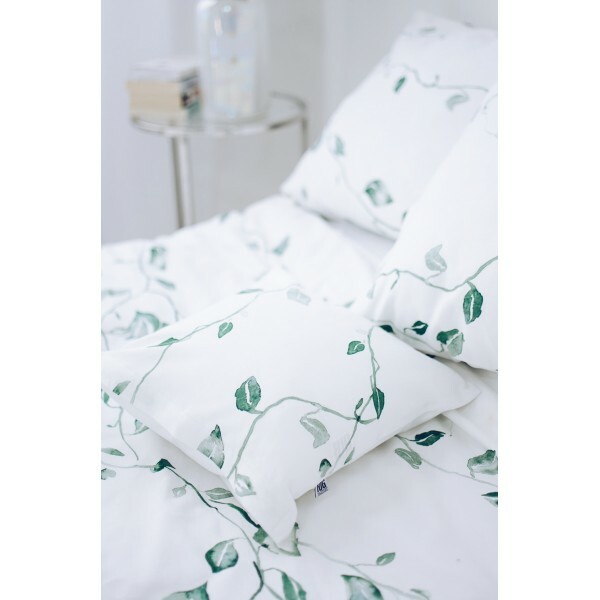 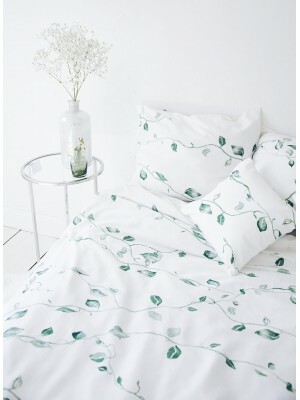 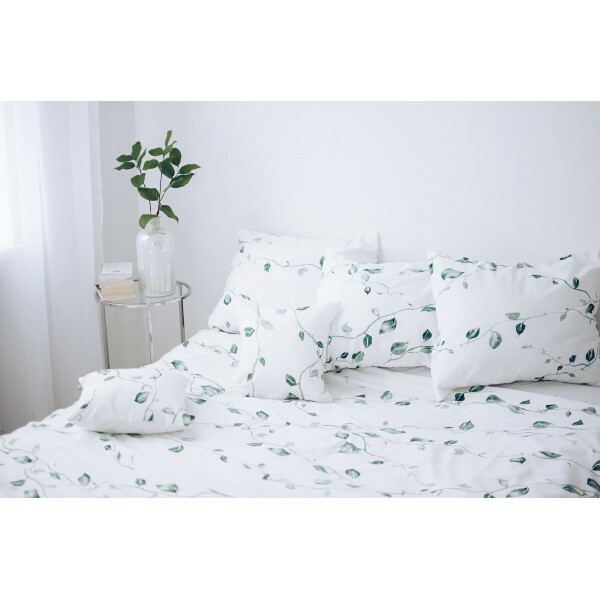 Cotton pillow in watercolor, delicate leaves fits perfectly with our bedding in the same pattern.